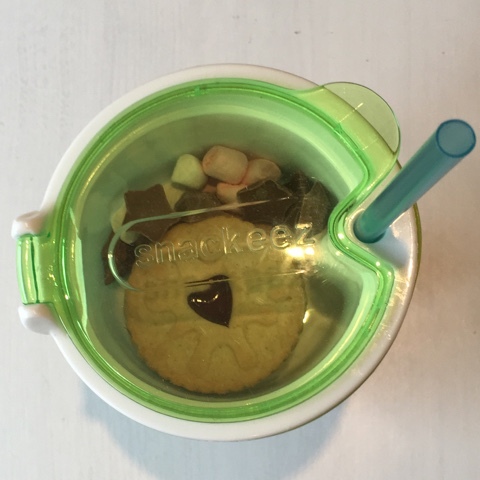 I'm always happy to review things which will make my life easier especially when I know T will love it, so when I was asked to review the snackeez cup I was very pleased! 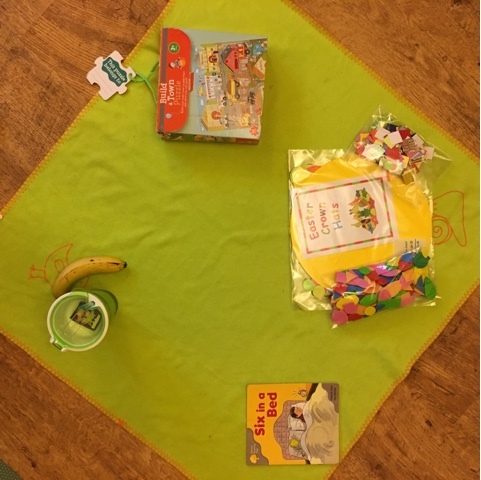 I was pretty confident that T would like it as it's quite novel, and I would get lots of water down him to keep him hydrated which would be a pretty big Mum win for me! 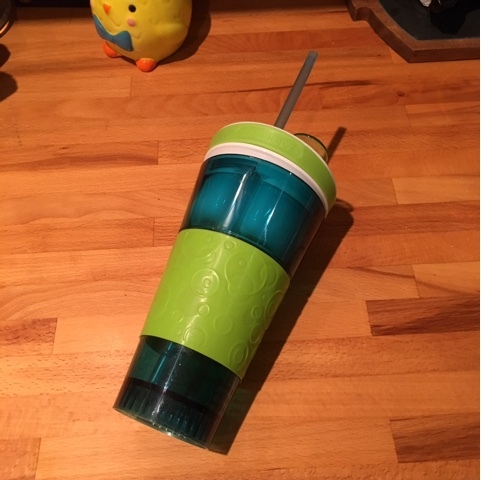 The cup is well made in a lovely turquoise blue and green, so it was very appealable for my little man, other colour options are available and character versions are due out very soon. Priced at £9.99 it is a little expensive but it is very well made and actually remarkably stable given that there is the snack pot at the top. It's recommended for 8+ but T at 4 got on fine with it, his only complaint is that he can't take it out and about with us, it would be a great additional feature if it was portable. 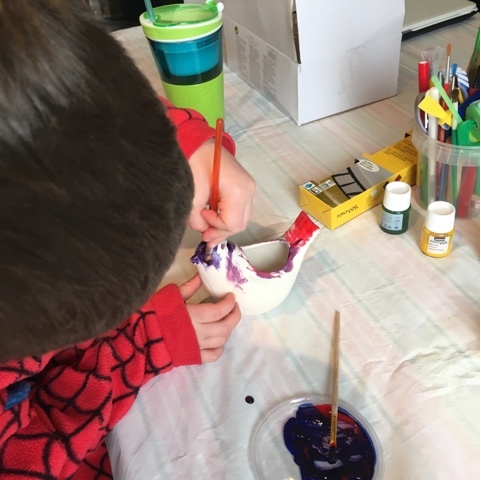 We've been using ours whilst watching movies with popcorn, playing and when crafting so our crafts don't have to stop due to hunger and thirst! 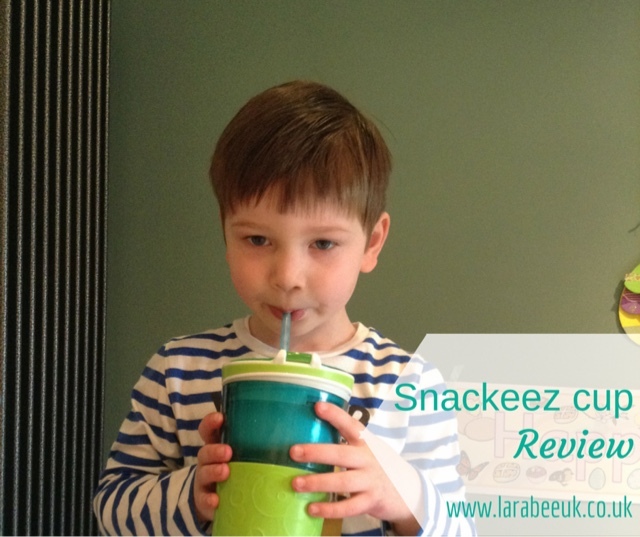 The Snackeez is a really big hit in our house and I can see it being top of T's cup list for a while! 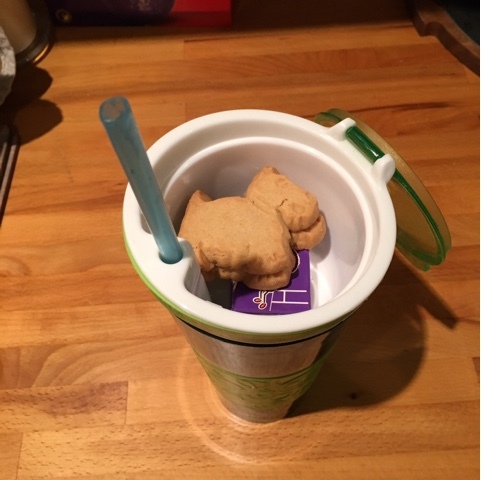 Disclaimer: we were sent the snackeez cup to try out and give our honest review. I've not seen anything like this before but it's a really good idea especially if you want to be a bit organised. They look really fun for kids too! I love this! So clever and this would be perfect for car journeys to keep everything in one place! I've seen these around but never tried one with Monkey. They look great for out and about.